McDermott & Bull Executive Search Announces the Formation of McDermott & Bull Europe B.V.
IRVINE, California, February 15, 2017 – McDermott & Bull, the 29th largest executive search firm in the Americas and the fastest-growing firm on the Hunt Scanlon Top 50 Recruiters list, announced today the formation of McDermott & Bull Europe B.V. and the acquisition of Amsterdam-based Interconsultants Executive Search. 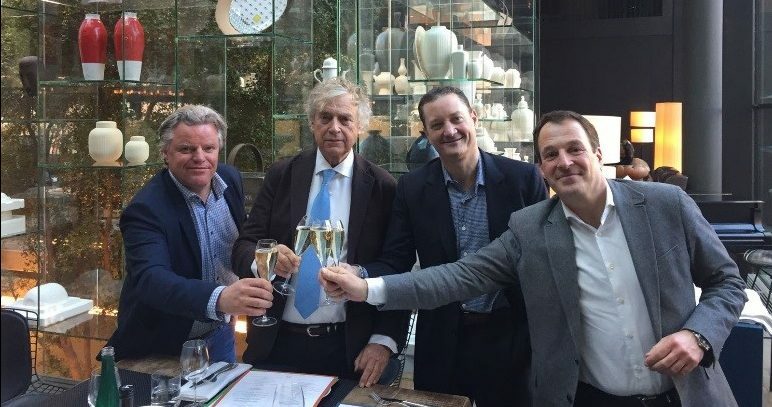 Rod McDermott, CEO and Co-Founder of McDermott & Bull, worked in concert with Milo Zegerius and Norbert Meijer, Partners at Interconsultants Executive Search, to make this acquisition a reality. The strength of Interconsultants Executive Search lies in its well-established executive team and strong presence in The Netherlands. Zegerius and Meijer will lead McDermott & Bull Europe on a day-to-day basis and work closely with McDermott in building the company and the brand by establishing more practice areas and growing the overall business. Interconsultants Executive Search was founded by Jetse Reijenga in 1984 and has completed hundreds of search assignments for leading European and global clients including Ricoh, Avery Dennison, Samsung, and Tech Data. Reijenga plans to stay involved with McDermott & Bull Europe as a consultant and business development advisor. Interconsultants Executive Search B.V. has over 30 years of industry experience in providing Executive Search solutions to top national and international companies in a variety of industries. The firm’s experienced team of search consultants provide professional recruitment services for senior management positions in the corporate sector throughout multiple industries.